When Miguel González Herranz answers the phone, he’s in Spain. The ocean between him and his office in Palo Alto, California, is not surprising: The engineer turned serial entrepreneur operates on the world’s stage, and his career—spanning Telefónica, Google, and banking giant BBVA—has taken him to Spain, France, Ireland, Colombia, Singapore, and the United States. Now he’s intensively working on his latest venture, FounderNest, in international markets. González Herranz is upgrading the entrepreneurial process through artificial intelligence alongside his cofounder and brother, Félix. Their matchmaking platform is equipping other founders with the access to capital they need to make their mark. González Herranz’s global mind-set reflects a key finding in the 2017 State of Latino Entrepreneurship Research Report presented by the Stanford Latino Entrepreneurship Initiative (SLEI). The survey of US Latino business owners reports that Latino entrepreneurs have the highest rate of clientele outside the United States, 45 percent, which means Latino-owned businesses are the most international in reach compared to other demographic groups. González Herranz holds as many degrees as the number of languages he speaks (four). He first earned dual bachelor’s and master’s degrees in electrical engineering and computer science at Universidad Politécnica de Madrid and Télécom ParisTech. He then completed his MBA at the University of Pennsylvania’s Wharton School, where FounderNest emerged in the Penn Wharton Entrepreneurship program last year. He also earned a master’s degree in international studies, also at Pennsylvania. González Herranz is responsible for the creation of two other startups for the Spanish-speaking community: JuntoSalimos, a global network for early-stage entrepreneurs; and enlaZe, an online employment marketplace during the 2008 financial crisis. He was a finalist for the 2017 MIT Technology Review “Innovators Under 35—Europe Region” award and the 2016 Forbes “30 Under 30” list for social entrepreneurship. 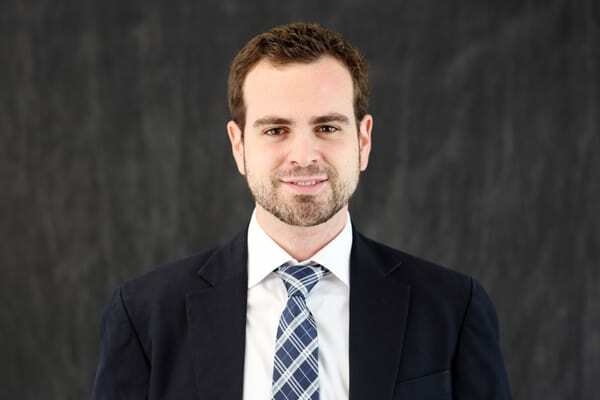 In an interview with The Alumni Society, González Herranz reveals how he connects companies and investors via FounderNest, and why his international experience is crucial for continuous worldwide success. First is passion—passion for the world and the vision you have. My brother Félix and I have always been passionate about helping others succeed. As an entrepreneur, every day is a new adventure. It’s tough, so having the determination to pursue what you believe in is key. Entrepreneurship takes a lot of time learning, tweaking, and failing. Having the energy, discipline, and work ethic to face problems over and over again is crucial. You need confidence in yourself, your work, and that it will eventually work out. Flexibility is fundamental to success because, as an entrepreneur, you know that your original idea will likely get reshaped in many ways, and you also need to adapt to the changing needs of your customers. Who or what prepared you to pursue entrepreneurship? My grandparents were entrepreneurs. I got to spend a lot of time with them during my childhood, which ignited in me the entrepreneurial appetite. During my engineering studies, I faced many situations in which I had to come up with solutions given very limited information, high uncertainty, and a tight deadline. From this, I learned to be creative and to manage high levels of pressure and uncertainty—also putting failure into context as an important component of the learning process. During my engineering studies, I was also a member of an amateur cycling team, an experience that taught me the resilience and discipline I strive to practice on my company, FounderNest. All the years I spent at Google showed me how important it is to create a culture of empowerment and constant innovation—always staying creative and proposing solutions to my daily challenges while creating a culture that encourages others to equally innovate within and beyond their scope. I could not forget the best teachers I have had in my life, my parents and brother, Félix. They have taught me to be ethical, transparent, to value and love family, to respect everybody regardless of who they are, how they are and where they come from, and to build and treasure long-lasting relationships with authentic individuals. What role does innovation play at FounderNest? Innovation is at the core of what we do. We are redefining the way entrepreneurs and investors connect by using an approach that liberates the scalability and automation potential of artificial intelligence. AI helps us collect, aggregate, and process vast amounts of data from hundreds of sources in real time—something a human could not even do in years. Natural language processing helps us extract the most relevant information so that investors can make informed decisions and provide timely answers to founders. Machine learning also helps us understand the market trends that investors are interested in, and how these change over time. How does your international experience inform your perspective during FounderNest’s expansion? I’ve been very lucky to have lived in six countries with different cultures and languages. It helped me become very open-minded and empathetic in relationships, both personally and professionally. I always try to put myself in the shoes of the person in front of me. It has informed the culture at FounderNest and also helped me succeed in business. As we expand in Asia, where the cultural norms are very defined, that will be crucial. What are your personal and professional goals in the next few years? Personally, I’d like to spend more time with my family because I’ve been away from home for almost ten years. I would also like to continue pursuing my passion to make the world a better place along with my brother, Félix. Professionally, I am already doing what I love—building a company that creates market efficiency in a highly inefficient space such as venture capital. Moving forward, I would like to see FounderNest achieving our vision to enable investors to deploy their capital in the hands of deserving founders, and to enable founders to spend their time in what truly matters, building products and services that improve the lives of all of us. In the long run, I would like to find myself spending my day-to-day putting my experience and expertise at the service of those who can benefit from it. I still have received much more than I have given back. Nobody can really understand how tough being an entrepreneur is until you actually go and try. The media usually only displays the beauty of success; how people came up with a great idea one day, talked to some friends, and it suddenly became successful. But there are so many chapters in between, so many moments of self-doubt, that I wish I had surrounded myself earlier in my career with the amazing advisers we have now at FounderNest.